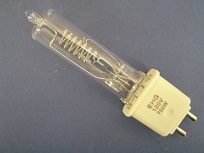 Any tungsten filament lamp can be used as an infrared heat source. 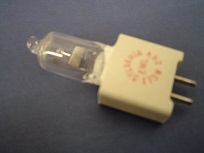 The most practical are quartz halogen lamps. 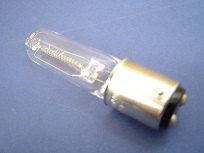 Tubular and reflector lamps have been most successful. Tubular quartz lamps are available in a number of wattages and voltages which allows for ramping using variacs or simple dimming devices. 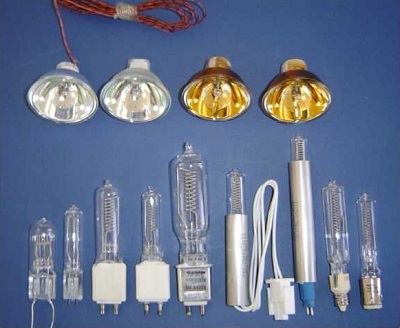 Not considered an IR source, but an excellent heater source due to higher efficacy, high color temperature, and large variety of types, quartz halogen lamps are desirable due to small physical size, ease of use, low cost, and good availability. Many uses have been found for vacuum application and RTP (rapid thermal processing) popular in integrated circuit manufacturing. Various lampholders and transformers for low voltage types available as a package.